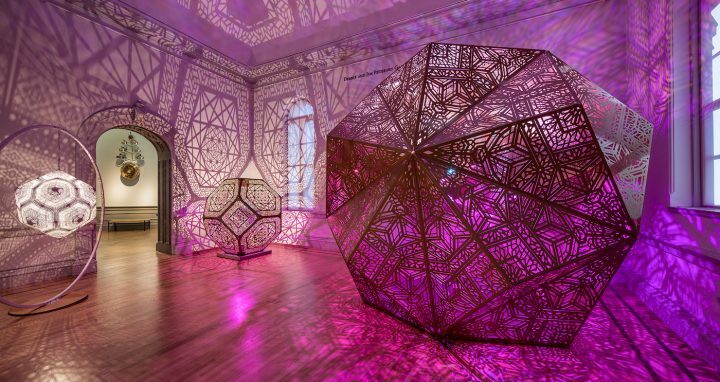 In an exhibition opening March 30, the Renwick Gallery has transported some of that Burning Man spirit to its more buttoned-down environs. 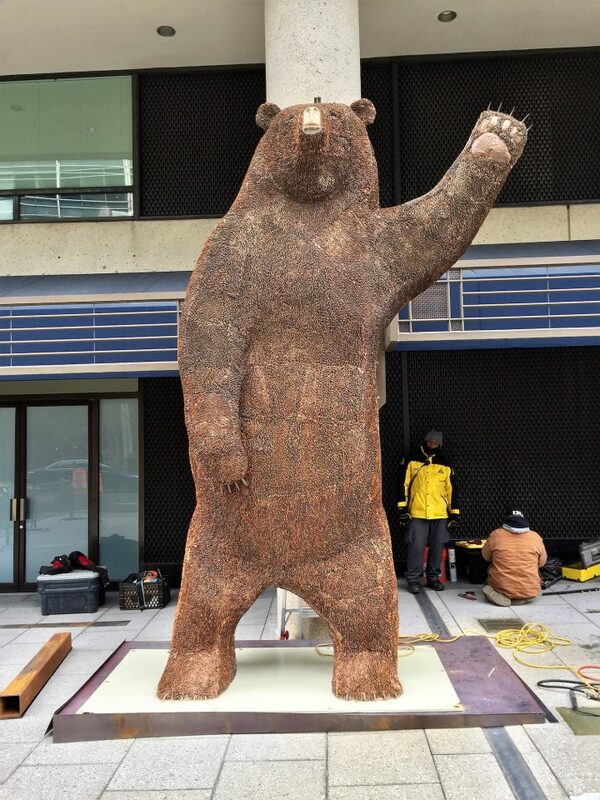 WASHINGTON, DC — For the office-dwelling denizens of downtown Washington, DC, their next lunch break could feature a more fun than fearsome encounter with a 13-foot-tall waving bear on 19th Street NW. Clad in a copper fur made from 170,000 pennies, the sculpture titled “Ursa Major” may seem out of place here, but it felt right at home more than 2,200 miles west of DC on a scorched white-clay lake bed in Nevada’s Black Rock Desert where 70,000 partygoers gather one week each summer at Burning Man for an unbridled celebration of art, music, and communal creativity. 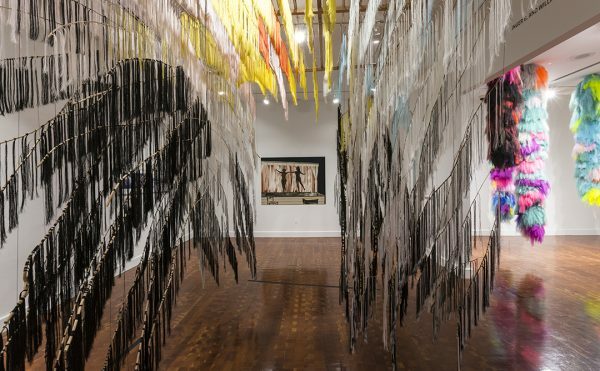 Inside the museum, the Renwick will show 14 installations that were displayed at Burning Man or were commissioned from Burning Man artists, along with smaller artwork, handmade jewelry, costumes, photos, and memorabilia. No Spectators: The Art of Burning Man is so large and technically complex that the entire museum was closed to the public for almost a month, the first time the museum has closed for an extended period since reopening in 2015 after a two-year renovation. 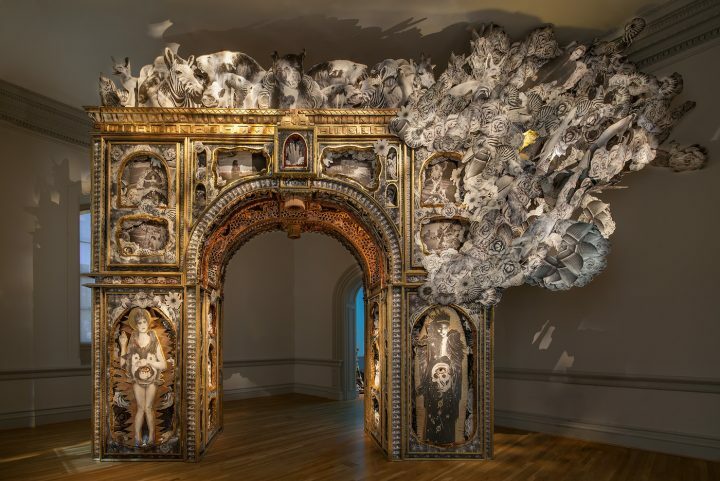 Renwick Gallery curator Nora Atkinson was inspired by the maker community at Burning Man who create a vast range of elaborate artwork often at their own expense and then burn much of it down each year. 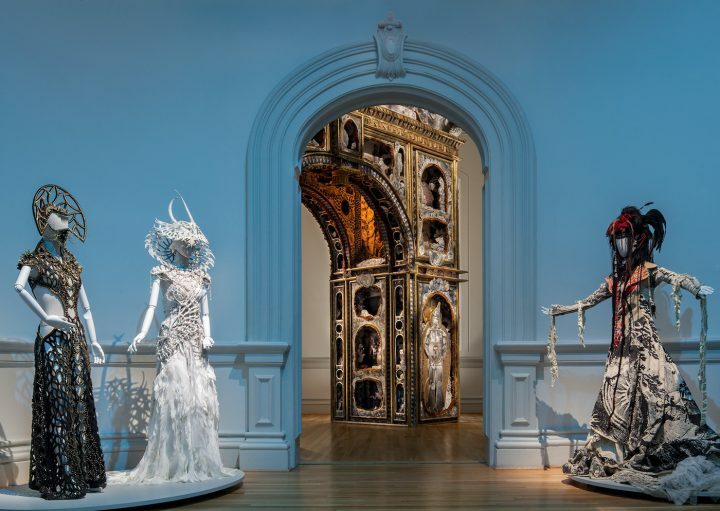 It seemed like a natural fit for the Renwick, the Smithsonian American Art Museum’s branch dedicated to American craft. 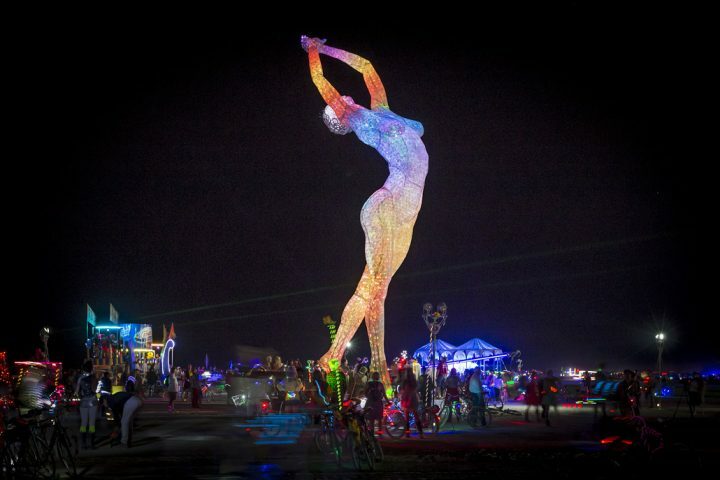 Burning Man began in 1986 when San Francisco artists Larry Harvey and Jerry James built a rough eight-foot-tall wooden figure from scrap lumber and dragged it to Baker Beach where they set it alight in a modern summer solstice ritual. The Burning Man became an annual tradition with a few hundred participants before it was banned by police in 1990 because of potential fire hazards, leading to its relocation to Black Rock Desert east of Reno in an otherworldly locale with no electricity, potable water, or other amenities, not to mention extreme conditions including blinding sandstorms, brutal heat waves, and freezing nights. In 2005, I drove more than 1,000 miles from Santa Fe, New Mexico, to Burning Man in my beat-up SUV with an even more beat-up bike strapped to the roof. After an eerie moonlit drive across the Bonneville Salt Flats and the barren pinon-studded hills of eastern Nevada, I arrived at Burning Man just in time for an epic sandstorm of white swirling dust that coated my sleeping bag, tent, clothes, and food in a fine layer of grit. But I still had an amazing time with my brother and an East Coast-West Coast contingent of “burners” from San Francisco and DC in a theme camp called Furtopia. When I moved from Santa Fe to DC a year later, many of those burners became longtime friends. As a mixed-media artist, I was inspired by the unheralded artists who created these giant installations with no promise of monetary gain. Then there was a sense of community spirit where food and drink were shared among strangers, and nothing was sold by Burning Man staff except for ice and coffee. 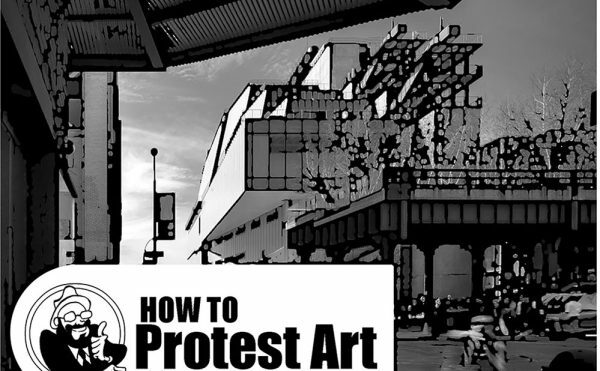 No “I Went to Burning Man” T-shirts, no posters, no food trucks, no corporate sponsors. There also is no real festival schedule, and visitors must bring everything they need to survive, including water for drinking and very brief handheld showers. 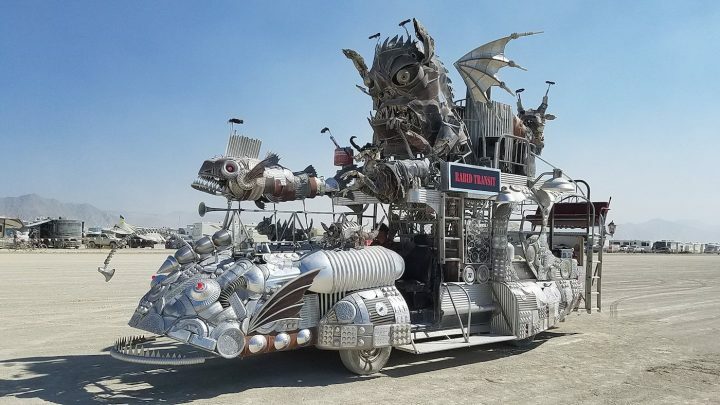 Since my trip a decade ago, Burning Man has more than doubled in size, and some longtime burners keep wishing for the olden days when the festival wasn’t a networking event for the Silicon Valley set or a hip spot for celebrities and Victoria’s Secret models to post Instagram photos. There also is a cottage industry hawking Burning Man costumes, a mish mash of sci-fi fantasy, leather fetish, steam punk, and Road Warrior-esque post-apocalyptic wear, with an extra helping of studded bustiers, short shorts, and top hats thrown into the dusty mix. Some newcomers are derided as “sparkle ponies” who bring a dozen costume changes but no food or water and mooch off everyone around them. The 10 Principles of Burning Man, including gifting and decommodification, also can feel like hollow slogans when wealthy people could buy $1,200 tickets during a pre-sale this year before cheaper tickets were available. 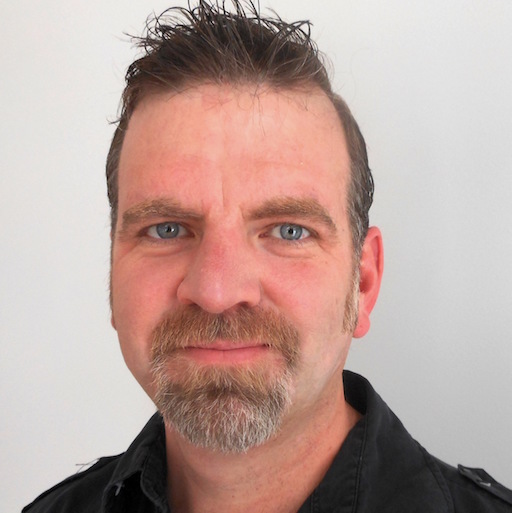 Burning Man also has seen its share of tragedy, including the death of a 41-year-old man who ran past security personnel into the raging Burning Man sculpture last year. 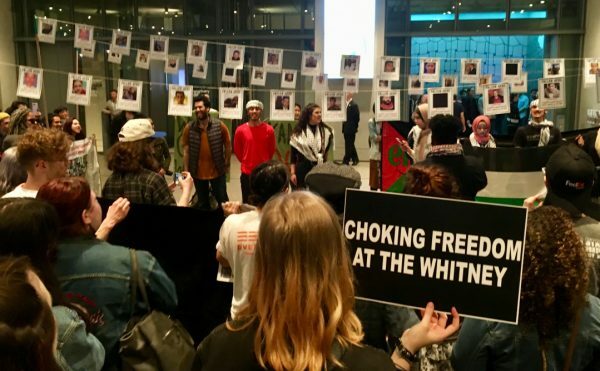 Atkinson, who went to Burning Man for the first time last year, said she initially was worried that Burning Man artists would shun the Renwick exhibition, but the free admission to the government-funded museum helped defuse the commodification argument. She said people were enthusiastic about the exhibition, and the Burning Man organization linked her with artists and other resources. The Renwick will also show archival Burning Man photos and historical documents from a previous exhibition by the Nevada Museum of Art. While the future of Burning Man is debated, artists have always been at its core, including Mr. and Mrs. Ferguson, the artist couple who created the Ursa Major sculpture that will reside for nine months on 19th Street NW in downtown DC. Robert Ferguson, who runs a commercial welding business, took a break from the installation to tell me about their improbable cross-country road trip to transport their 3,200-pound sculpture to DC. He and his wife Lisa were stunned when they heard a Smithsonian art museum wanted to display their beloved bear, which attracted impromptu dance parties and a lot of bear hugs at Burning Man in 2016. 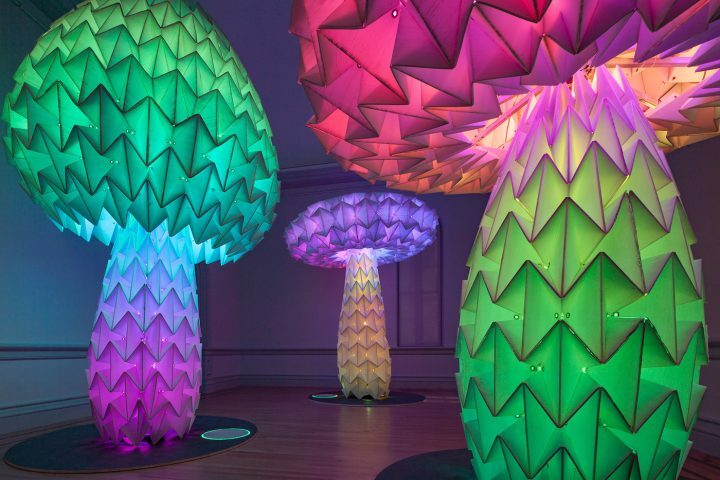 No Spectators: The Art of Burning Man continues at the Renwick Gallery (Pennsylvania Avenue at 17th Street NW) through January 21, 2019.